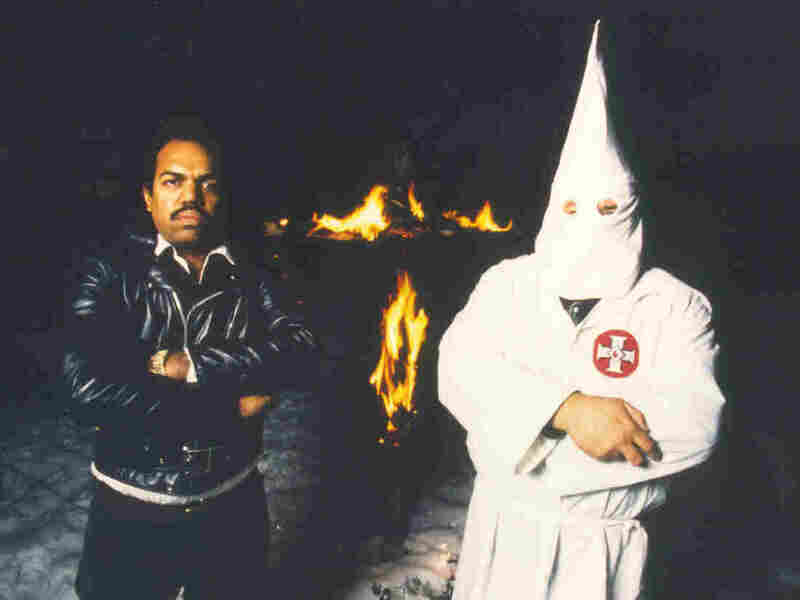 How One Man Convinced 200 Ku Klux Klan Members To Give Up Their Robes One by one, Daryl Davis has befriended KKK members over the past 30 years. The more they got to know the African-American musician, the more they realized the Klan was not for them. For 30 years, Daryl Davis has spent time befriending members of the Ku Klux Klan. He says 200 Klansmen have given up their robes after talking with him. I was playing music — it was my first time playing in this particular bar called the Silver Dollar Lounge and this white gentleman approached me and he says, "I really enjoy you all's music." I thanked him, shook his hand and he says, "You know this is the first time I ever heard a black man play piano like Jerry Lee Lewis." I was kind of surprised that he did not know the origin of that kind of music and I said, "Well, where do you think Jerry Lee Lewis learned how to play that kind of style?" He's like, "Well, I don't know." I said, "He learned it from the same place I did. Black, blues, and boogie-woogie piano players." That's what that rockabilly, rock 'n roll style came from." He said, "Oh, no! Jerry Lee invented that. I ain't ever heard no black man except for you play like that." So I'm thinking this guy has never heard Fats Domino or Little Richard and then he says, "You know, this is the first time I ever sat down and had a drink with a black man?" 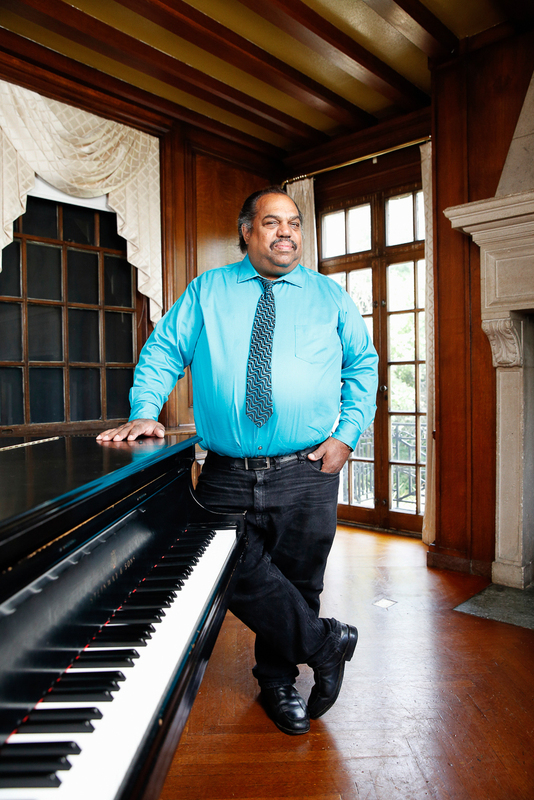 Daryl Davis first befriended a member of the Ku Klux Klan in a bar where he was performing. He says they bonded over liking the same type of music. Well, now I'm getting curious. I'm trying to figure out, now how is it that in my 25 years on the face of this earth that I have sat down, literally, with thousands of white people, had a beverage, a meal, a conversation or anybody else, and this guy is 15 to 20 years older than me and he's never sat down with a black guy before and had a drink. I said, "How is that? Why?" At first, he didn't answer me and he had a friend sitting next to him and he elbowed him and said, "Tell him, tell him, tell him," and he finally said, "I'm a member of the Ku Klux Klan." I just burst out laughing because I really did not believe him. I thought he was pulling my leg. As I was laughing, he pulled out his wallet, flipped through his credit cards and pictures and produced his Klan card and handed it to me. Immediately, I stopped laughing. I recognized the logo on there, the Klan symbol and I realized this was for real, this guy wasn't joking. And now I'm wondering, why am I sitting by a Klansman? But he was very friendly, it was the music that brought us together. He wanted me to call him and let him know anytime I was to return to this bar with this band. The fact that a Klansman and black person could sit down at the same table and enjoy the same music, that was a seed planted. So what do you do when you plant a seed? You nourish it. That was the impetus for me to write a book. I decided to go around the country and sit down with Klan leaders and Klan members to find out: How can you hate me when you don't even know me? The best thing you do is you study up on the subject as much as you can. I went in armed, not with a weapon, but with knowledge. I knew as much about the Klan, if not more than many of the Klan people that I interviewed. When they see that you know about their organization, their belief system, they respect you. Whether they like you or not, they respect the fact that you've done your homework. Just like any good salesman, you want a return visit and they recognized that I'd done my homework, which allowed me to come back again. That began to chip away at their ideology because when two enemies are talking, they're not fighting. It's when the talking ceases that the ground becomes fertile for violence. If you spend five minutes with your worst enemy — it doesn't have to be about race, it could be about anything...you will find that you both have something in common. As you build upon those commonalities, you're forming a relationship and as you build about that relationship, you're forming a friendship. That's what would happen. I didn't convert anybody. They saw the light and converted themselves. Initially, they feel that if you're not white, you are inferior. [They believe] that black people have smaller brains, we're incapable of higher achievement. I'll give you an example of one. This guy was an exalted cyclops sitting in my car in my passenger seat. He made the statement, which I'd heard before, "Well we all know that all black people have within them a gene that makes them violent." I turned to him and I'm driving and I said, "Wait a minute. I'm as black as anybody you've ever seen. I have never done a carjacking or a driveby, how do you explain that?" He didn't even pause to think about it. He said, "Your gene is latent. It hasn't come out yet." So how do you argue with somebody who is that far out in left field? I was dumbfounded. I'm just driving along. He's sitting over here all smug and secure, like "See you have no response?" And I thought about it for a minute. Then I used his point of reference. I said, "Well, we all know that all white people have a gene within them that makes them a serial killer." He says, "What do you mean?" And I said,"Well, name me three black serial killers." He thought about it — he could not do it. I said, Ted Bundy, Jeffrey Dahmer, Charles Manson, John Wayne Gacy. All whites. I said, "Son, you are a serial killer." He says "Daryl, I've never killed anybody." I said, "Your gene is latent. It hasn't come out yet." He goes, "Well, that's stupid!" I said, "Well, duh. Yes, but you know what, you're right. What I said was stupid, but no more stupid than what you said you me." Then he got very, very quiet and changed the subject. Five months later, based on that conversation he left the Klan. His robe was the first robe I ever got. Matthew Schwartz produced the audio for this story. Wynne Davis adapted it for web.